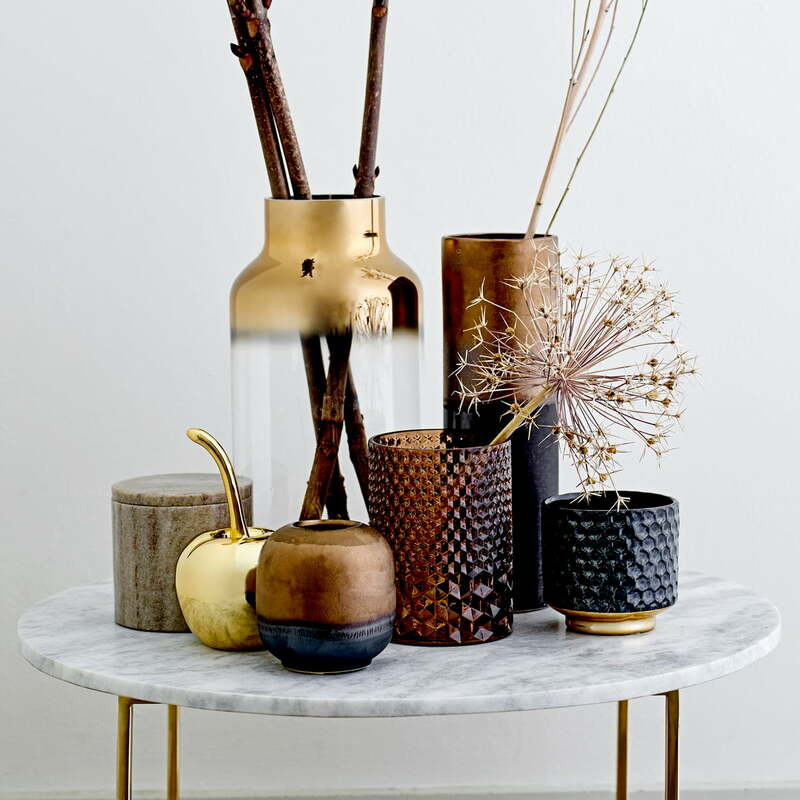 The storage jar by Bloomingville is a decorative way to store small items and valuables in a beautiful way. 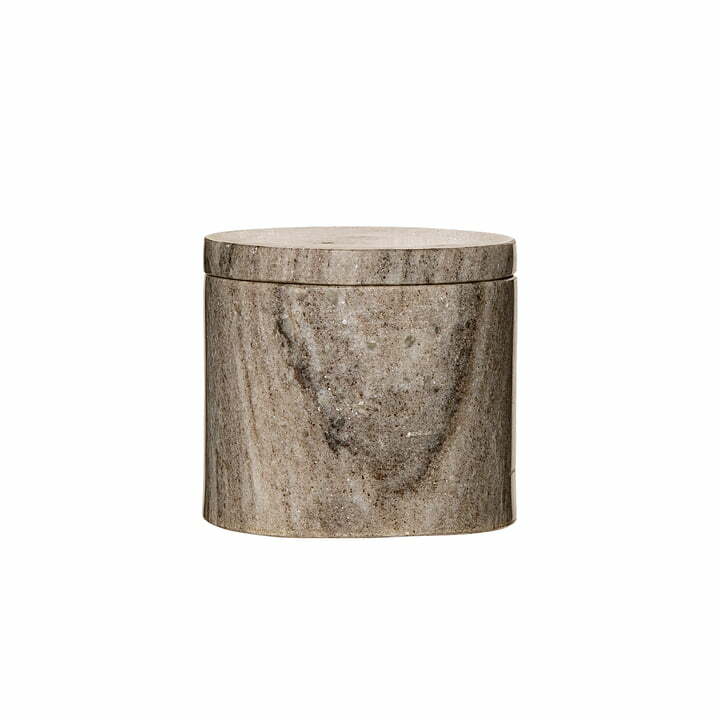 The cylinder-shaped jars are available entirely out of marble or with a wooden lid. Moreover, the containers are offered in various colours and sizes so that they can easily be introduced into various interiors. 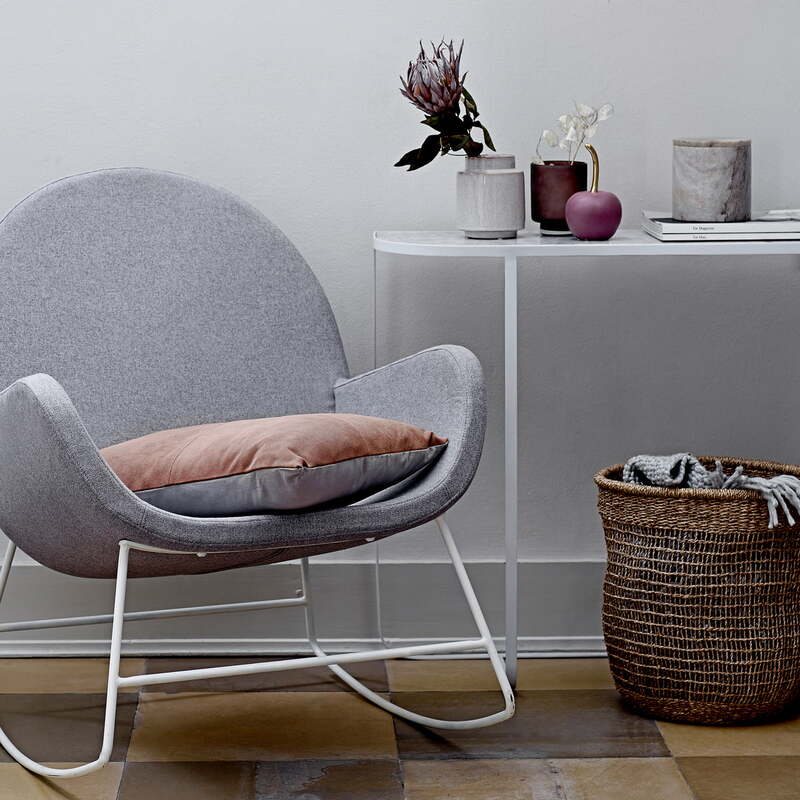 Thanks to their beautiful appearance, they are as suitable on a shelf, as they are on a side table or kitchen table. Isolated product image of the storage jar with marble lid: The storage jar by Bloomingville is a decorative way to store small items and valuables in a beautiful way. 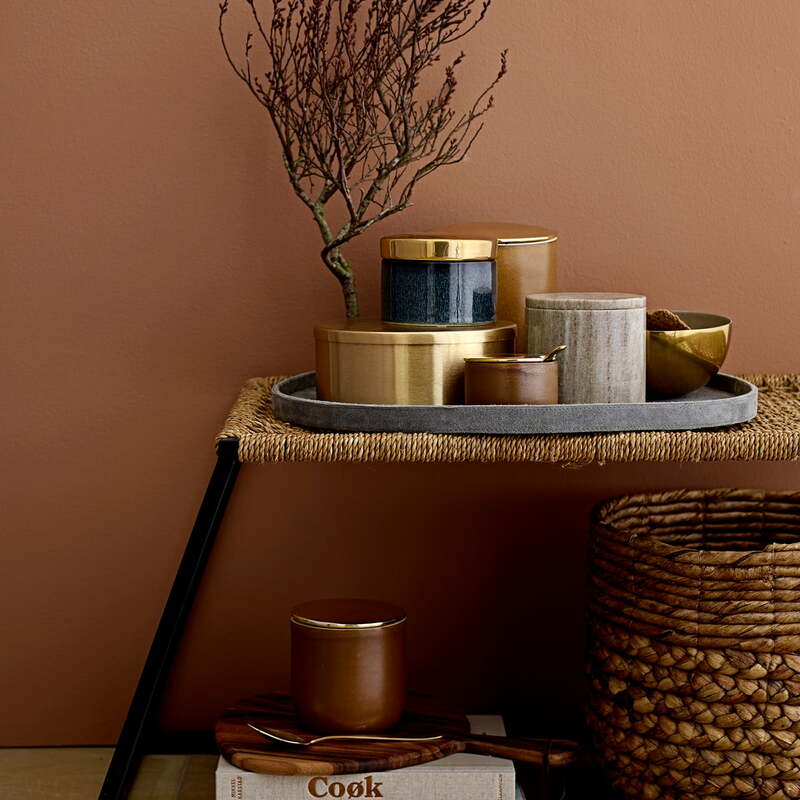 Lifestyle product image: The storage box with lid made of marble and the decorative cherry by Bloomingville are great decorations for timeless and modern environments. Lifestyle product image: The tealight holders made of glass, a glass vase with a height of 35 cm, the decorative cherry and the storage jar all look great on a round table.